If I could choose one hot trend right now it would be juices. Juice cleanses, Naked Juice, Bolthouse Farms, juicers. They are changing our world one nutrient at a time. 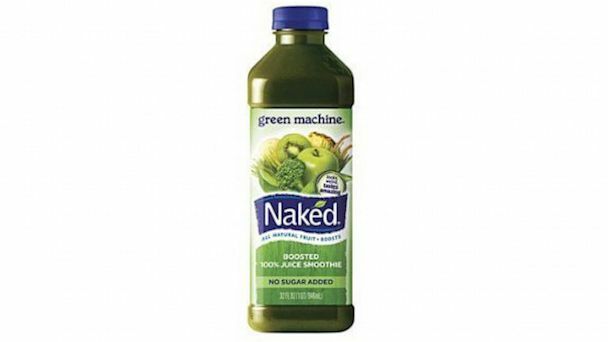 Juice Companies: Brands such as Naked juice have been involved in recent lawsuits for their “all natural” claims even though their product contains not-so-natural ingredients including GMO’s and synthetically produced vitamins and fibers. Although this product doesn’t have any added sugars, it is still very high in sugar- usually containing about 60g, which is the same as a regular soda. And the vitamins? By the time it has been processed and pasteurized, it could have a significant effect on the nutrients. These products also lack any fiber, which is an important part of fruits and vegetables for maintaining blood sugar and your overall health. If you’re looking for a good substitute eat the real thing. Have a piece of fruit or a salad. Juice Cleanses: Stop right there. Do not go any further with a juice cleanse. Here’s why: The goal of a juice cleanse is to “detox” the body and get it back in tip top shape. Sure, you will feel great (maybe) for the first few days, but your insides will not be pleased. First of all our body naturally detoxes through our kidneys so detoxes really aren’t necessary. Second, we need a balance of nutrients to be in our best shape both mentally and physically. This includes getting a mix of protein, carbohydrates and fat to provide adequate calories for us to function properly. When we don’t get enough calories our body automatically thinks we’re starving and shuts down to conserve energy. This causes our metabolism to slow so that we burn less calories. No one has ever tried a juice cleanse saying “I can’t wait to get a sluggish metabolism!”. This is the opposite of what the goal is. Slow metabolism = easy weight gain, therefore reversing any of your efforts. Plus you’ll be tired, hungry and cranky and no one will want to hang out with you. If you feel the need to detox, focus on getting a diet high in nutrients rather than cutting out food groups. Juicers and fresh squeezed juice: If you are looking for a way to get in extra nutrients, fresh squeezed vegetable juices are a good way to go. They are full of vitamins and minerals and a great way to get in your veggies if you aren’t a fruit or vegetable lover. The only thing with these juices is that the fiber is stripped once the fruits and vegetables are juiced. They also don’t provide any protein or fat. Use juices as a great addition to your overall food intake, but don’t use them in place of meals. Also keep in mind that if you add fruit, this quickly increases calories since some juices can use up to 2-3 apples. Stick to mostly veggies for a great boost to your day. Smoothies: If you really enjoy drinking your veggies, a smoothie is a good option. Blending allows you to keep nutrients and fiber, which will help you stay fuller for longer. Add some skim or soy milk to your smoothie and you have yourself a balanced beverage! My go-to combination is bananas, frozen spinach, skim milk, hemp protein and ground flax. At the end of the day, eating whole fruits and vegetables are recommended. They are full of fiber and nutrients, leaving you more satisfied than drinking them in liquid form. Eat minimally processed foods, enjoy high quality products and be smart about front of package labeling. « Are You Deficient in Vitamin D?